My Blueberry Cookies taste like a muffin, so says my 5 year old! 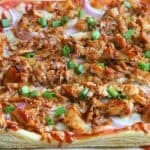 A while back we were in a cooking making mood and decided to throw a batch together. What flavor to make the cookies is always our dilemma. Except on this particular day we decided on blueberries! They are in season and perfect this time of year! When I tasted them I was like oh man, this is a blueberry muffin in a COOKIE! Of course I thought it was just me. Later that day when my 4 year old tasted them, she said the same thing! Great minds think alike! ENJOY! 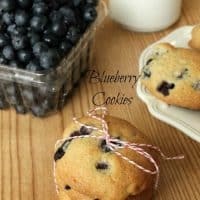 A cookie that taste like a muffin with fresh blueberries that burst in each bite! In a small bowl add blueberries and tablespoon flour. Stir and set aside. Add eggs and mix till creamy. Add vanilla and continue to mix. In separate bowl combine flour, baking soda and salt. Love this idea! I’ve always wanted to try with fresh blueberries but we ended up eating them all before I could make a recipe! We eat them pretty quickly around here too! These cookies look delicious! 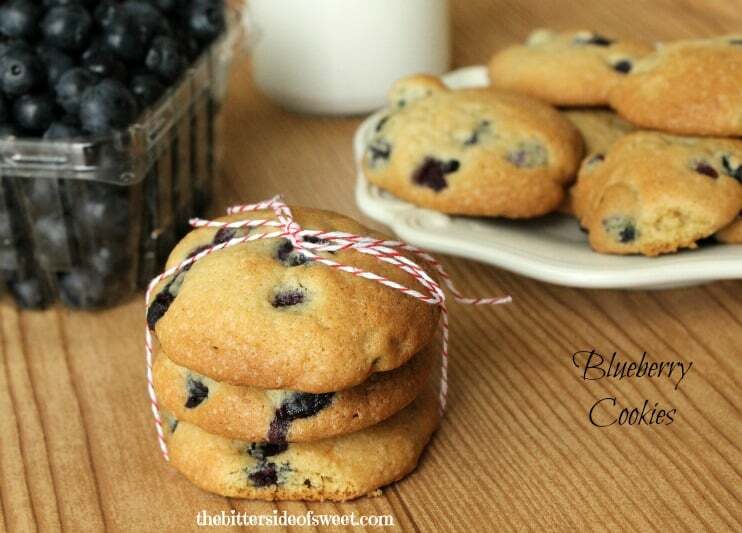 What a fun idea to make a cookie taste like a blueberry muffin! And how perfect for summer – the berries are so great right now! 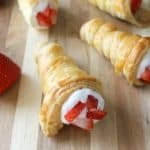 It was awesome because we didn’t even try to make them taste that way! They just did! Thanks Cate! These are gorgeous! 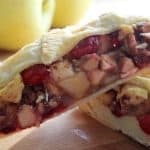 Such a fun summertime cookie! Pinning! I have never had a blueberry cookie before but now I really want one! These are so cute! What a happy accident. Who knew you could make cookies that taste like blueberry muffins? Sounds (and looks!) delicious. 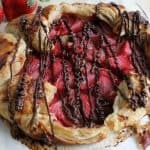 Thank you for linking at the In and Out of the Kitchen Link Party. Hope to see you again next week. 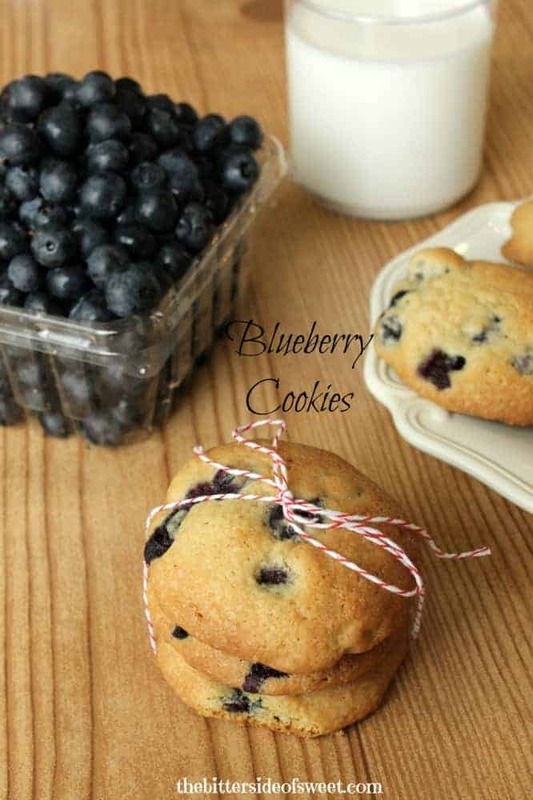 Whether it’s a cookie or a muffin, blueberries are always delicious! Mmmm, These look like glorious soft blueberry filled cookies! 🙂 Love! So soft but oh so good! Cookies that taste like a muffin?! I am so down! These look like a delicious mix between cookies and muffin tops! YUM! These really are incredible. I have made them quite a few times. So easy too.!! Awe Caroline! Thanks so much for telling me!